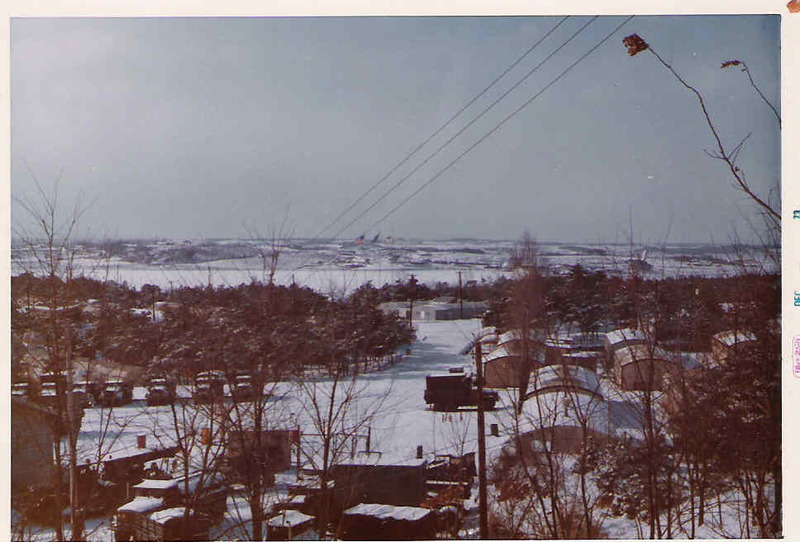 I arrived in Camp Howard, Korea in late June 1971 and was assigned to Company B, 304th Signal Battalion. 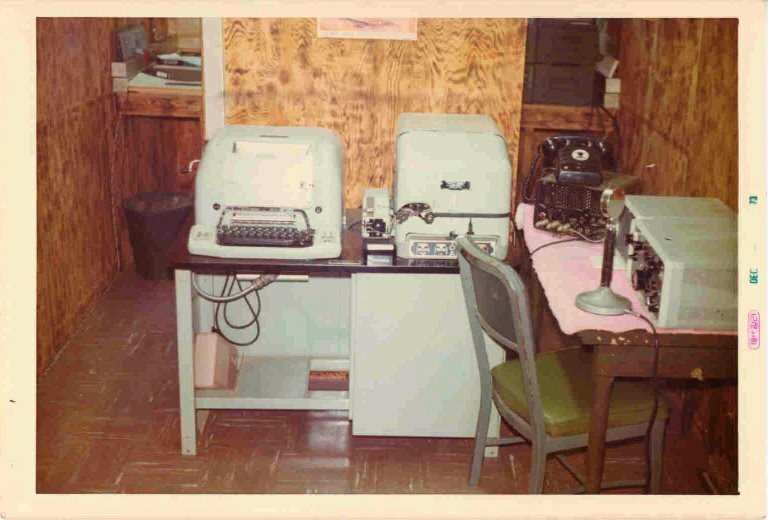 Although I was officially a Teletype Operator, I never actually worked as one. 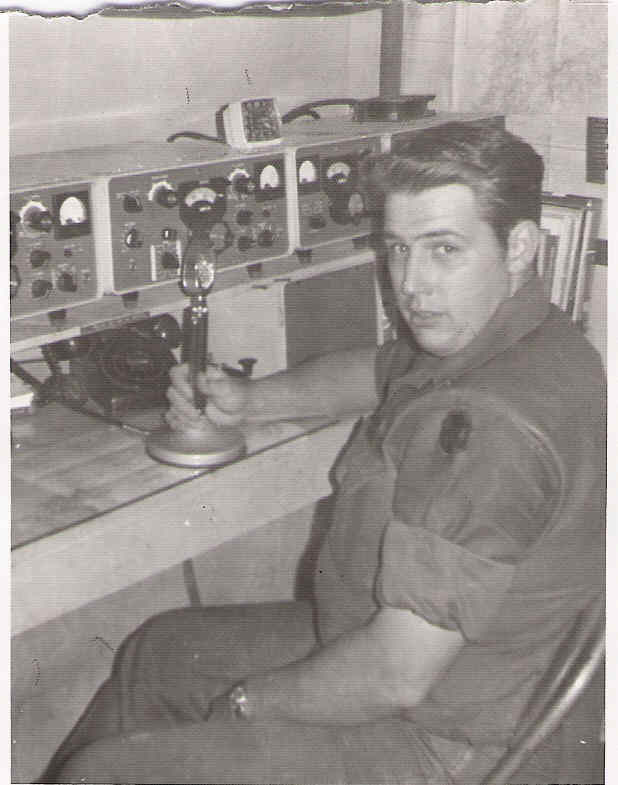 My aptitude for electronics and circuits found me assigned instead to the wiring and maintenance of an underground bunker communication center. 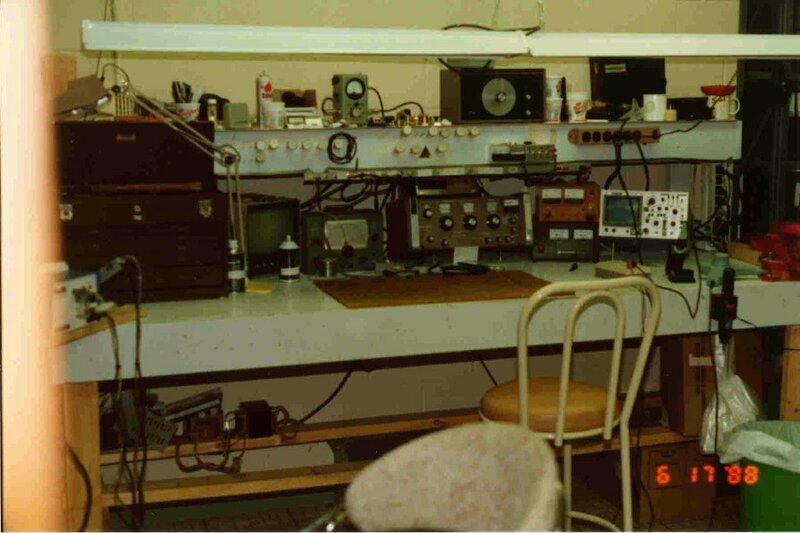 In 1973 the post Chaplain, who was a ham radio operator, decided it would be a good idea to build a MARS station on post. He approached my commanding officer and I was reassigned, along with Jim Goebel (WB6EAQ) and Scott Vercellono (WA6HIK), to the procurement, installation and operation of the MARS station. Initially we built a shack under the water tower but soon outgrew it. One day I drove a 10-ton tractor to the Property Disposal Office in Seoul and "procured" a surplus trailer. We located the trailer next to the water tower and created the MARS station inside. 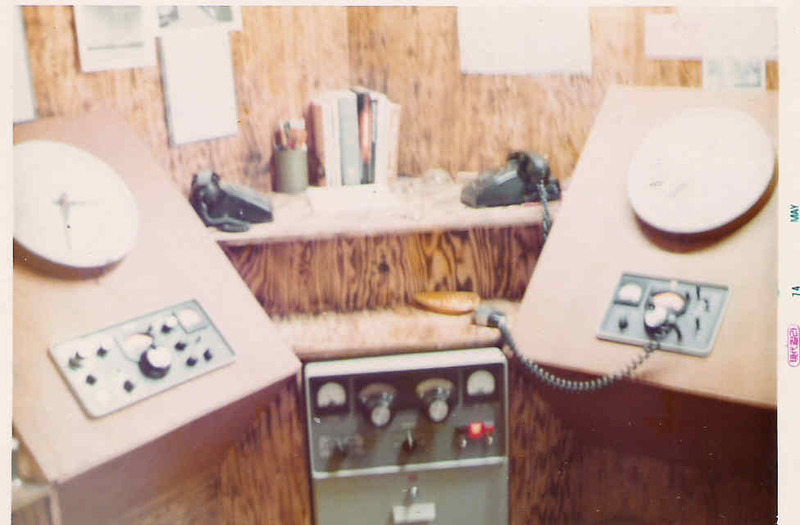 We had two operating positions and a lounge in the trailer. 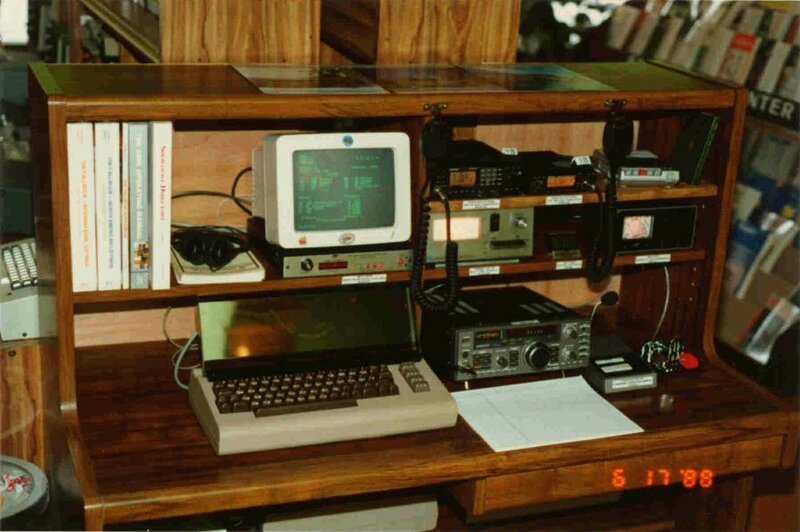 All equipment was built into consoles and the cables were accessible by opening the trailer doors. 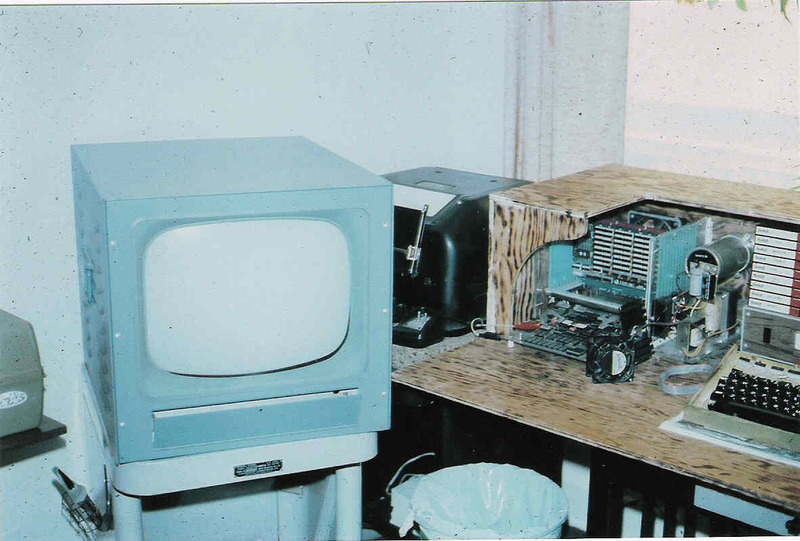 Notice that we even had an air conditioner, a real scarce item in Korea in 1973! The horizon was really clear towards the US and our homebuilt cubical quad antenna did an excellent job. 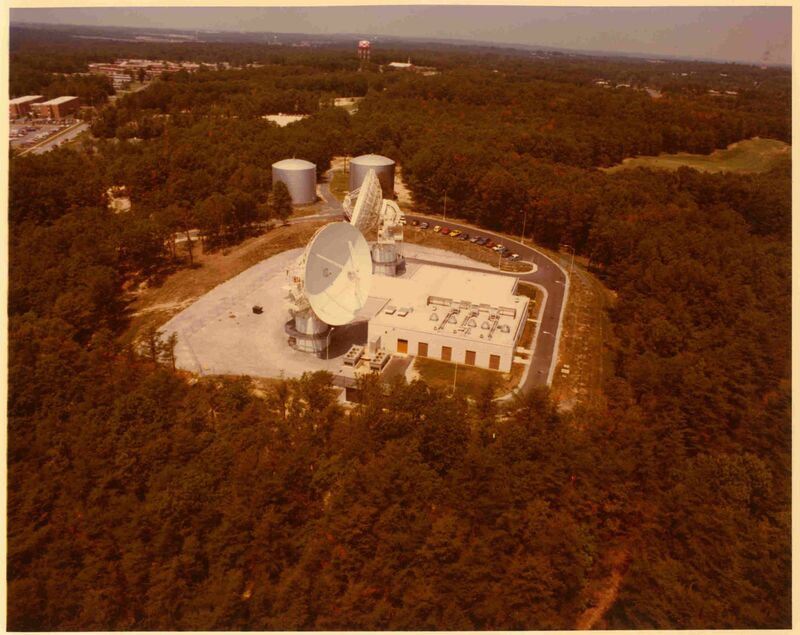 I ran the station until my company relocated to Camp Long, Korea where I established MARS station AB4DL. 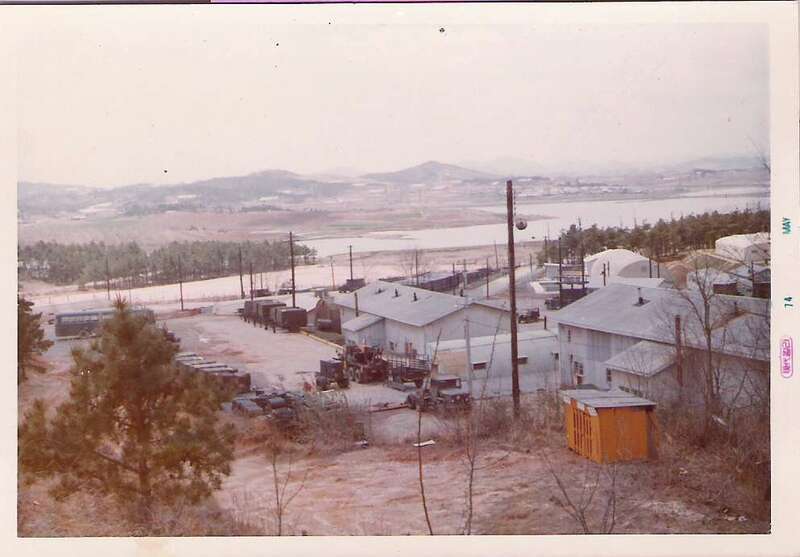 Here's a Chronological History of Camp Howard, Korea. 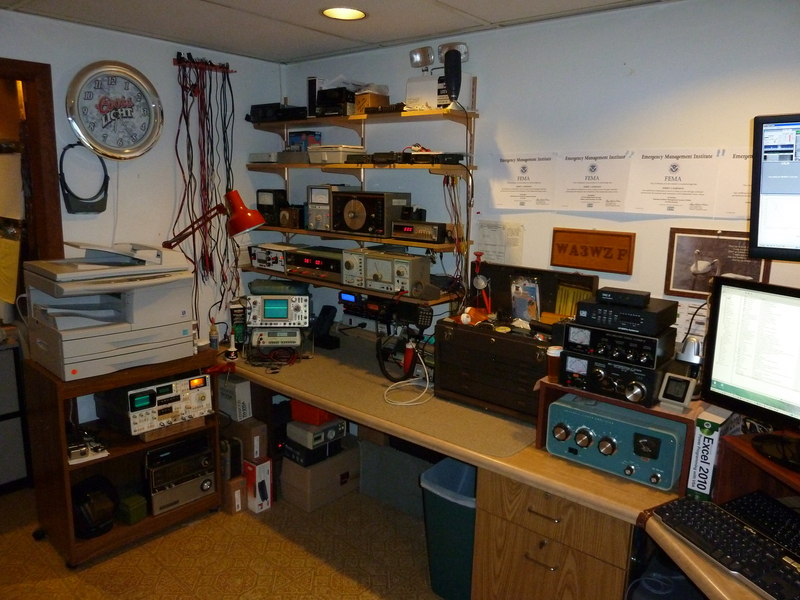 While I was running the MARS station at Camp Howard I earned my Ham Radio license. 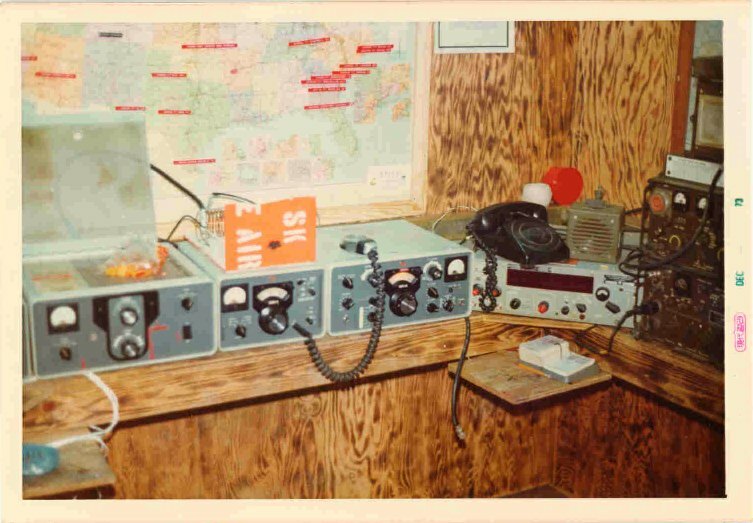 My first station was a Heath DX-60 transmitter and SW-717 receiver. 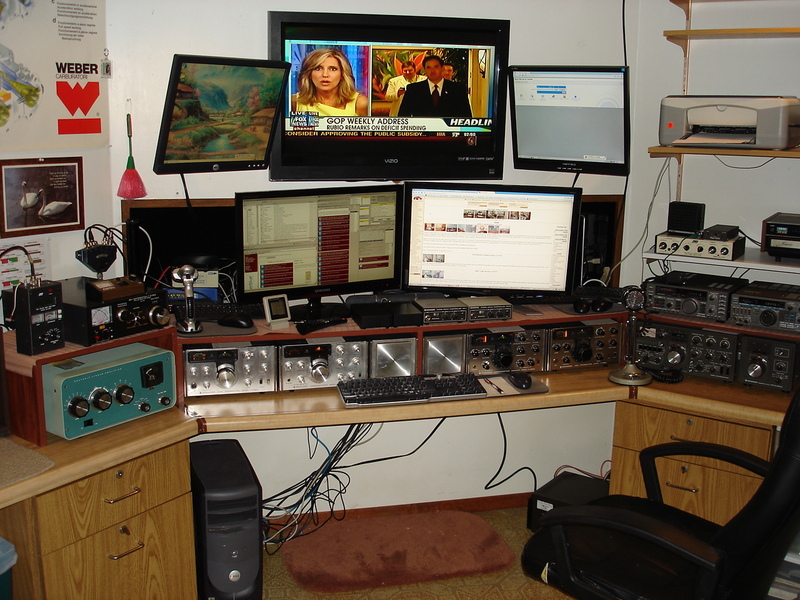 Eventually I added an HR-10 receiver an SB-10 sideband adapter and a HG-10 VFO to the station. 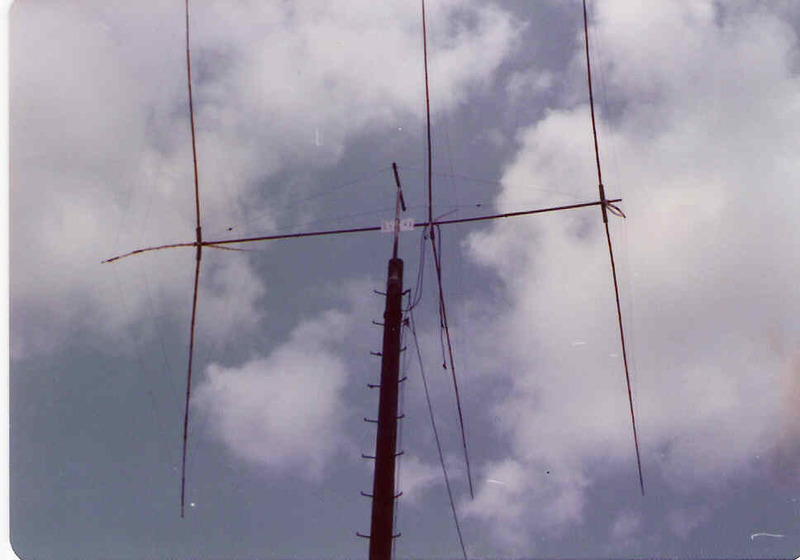 I used a simple dipole and worked a lot of Japanese stations on 40 and 80 meters. 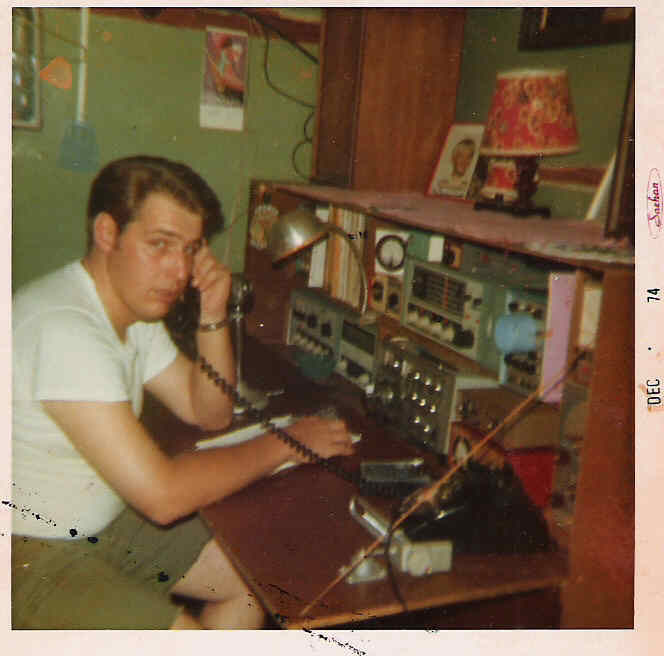 When my unit relocated to Camp Long, Korea in 1974 I discovered that there was no MARS station on post. 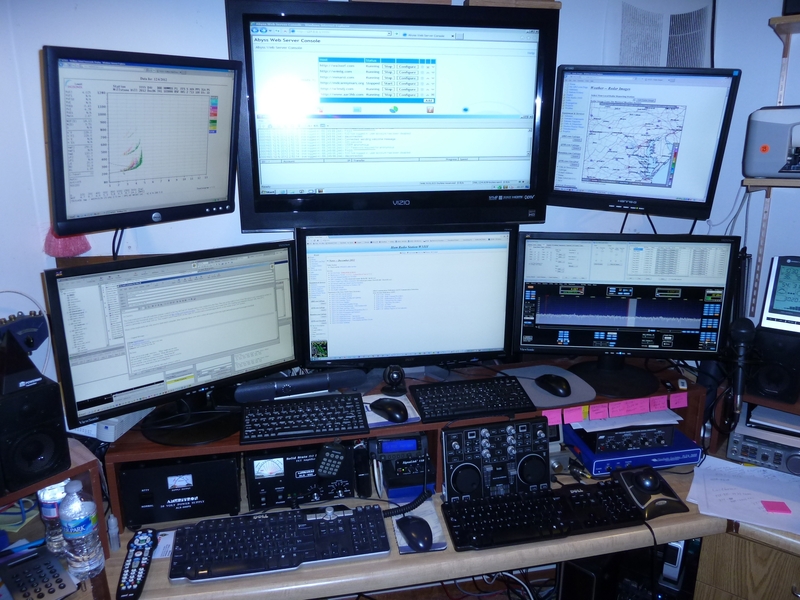 Calling on the many friends I made while building and operating AB4SK I gathered enough equipment to build a station. There was one hill on Camp Long and the Armed Forces Radio Television Service was located on top. I was able to find a location for the station near the top of the hill with a good view toward the States. For an antenna I used some bamboo and an old AB-155 antenna mast kit. Using the mast for a boom I constructed a three-element quad and mounted it on a telephone pole. To get it to the top of the pole I attached a rope over the pole to the antenna and to a Jeep. As the antenna neared the top of the pole the rope broke and it came crashing to the ground. It bounced several times then just sat there. NO DAMAGE! The second attempt at raising the antenna was successful and I was on the air. I made a lot of phone patches during the year I ran the station. I received this email about the station (New callsign ABM4DL) in March 2008. "Thank you for starting the Mars station at Camp Long! Thanks again for helping me turn a potential rotten assignment into a great experience and a fond memory. I was there from Feb 80 to Feb 81. I know Bob Lanois took a second tour there. I went on to Ft Hood and a Mech Infantry BN. 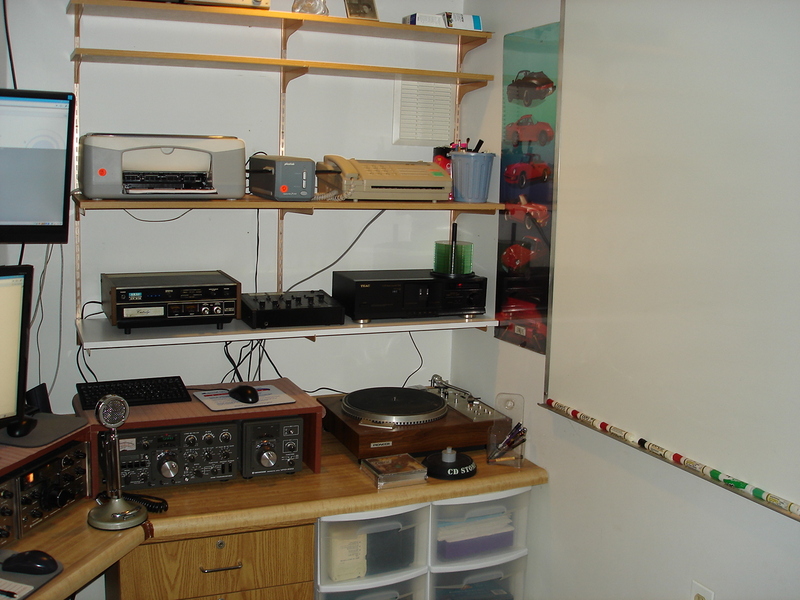 - Kevin Kunz"
I bought a Trio (Kenwood) TS-520 transceiver in Japan in 1974 and added it to my collection of equipment. 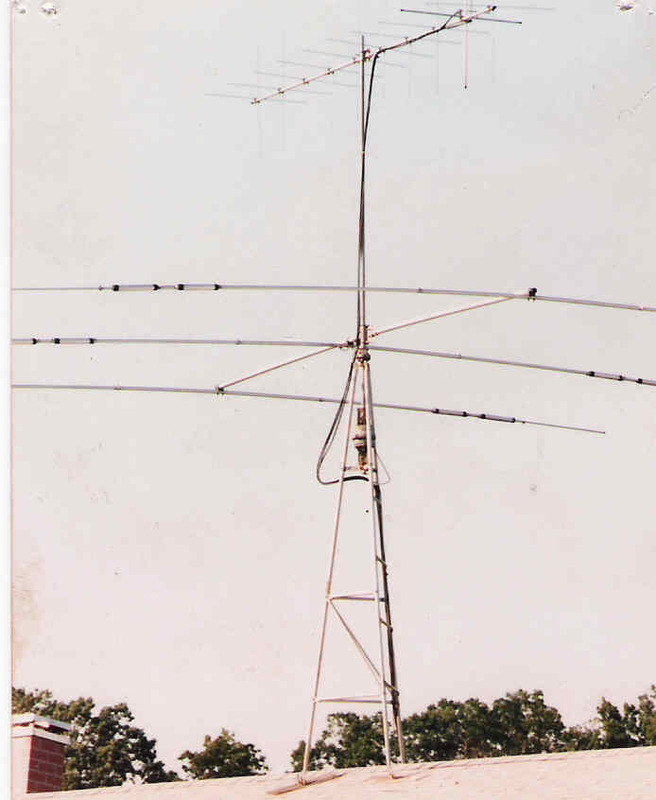 From home I ran a delta loop antenna with the bottom only 5 feet off the ground. Still managed to make a lot of contacts, although it was nothing like the three-element quad and 2KW amplifier at AB4DL. 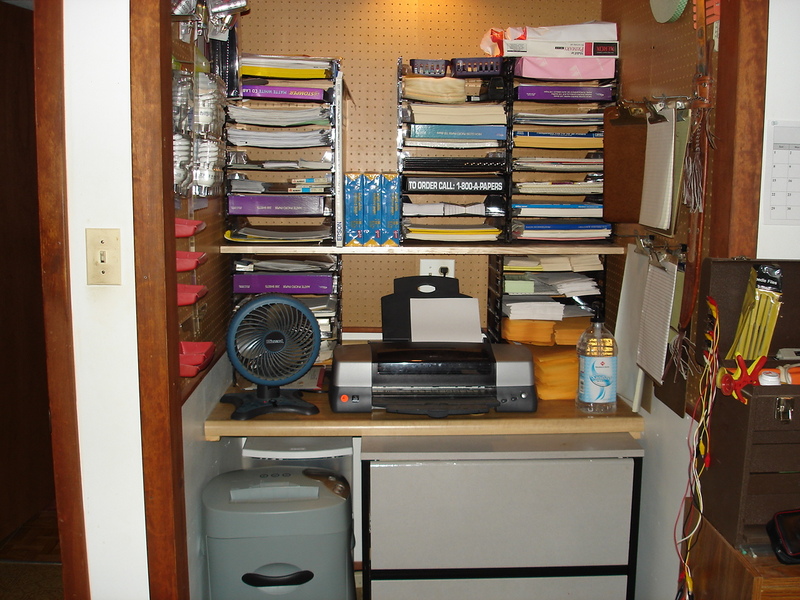 I was transferred to the Pentagon in Virginia in 1975 and rented a duplex house in Alexandria. 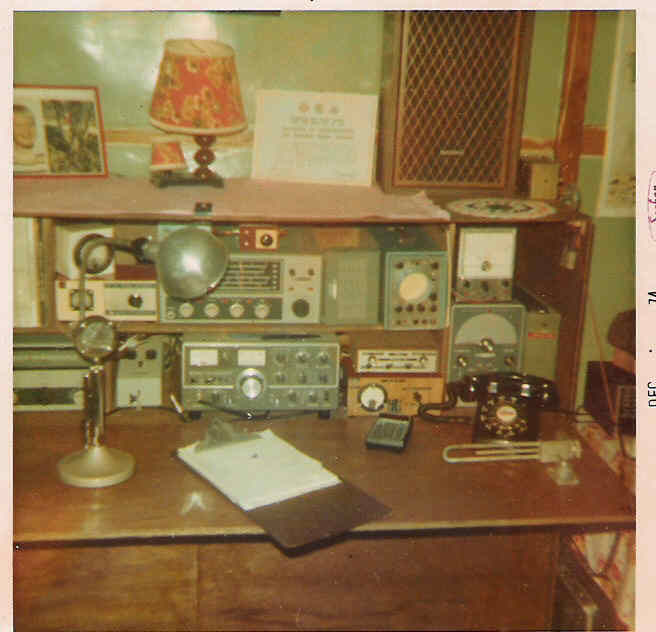 My station was in the basement and I used a long wire antenna from the house to the top of a light pole at a baseball field in front of the house. A friend climbed the pole one night to attach the antenna and nobody ever noticed it. 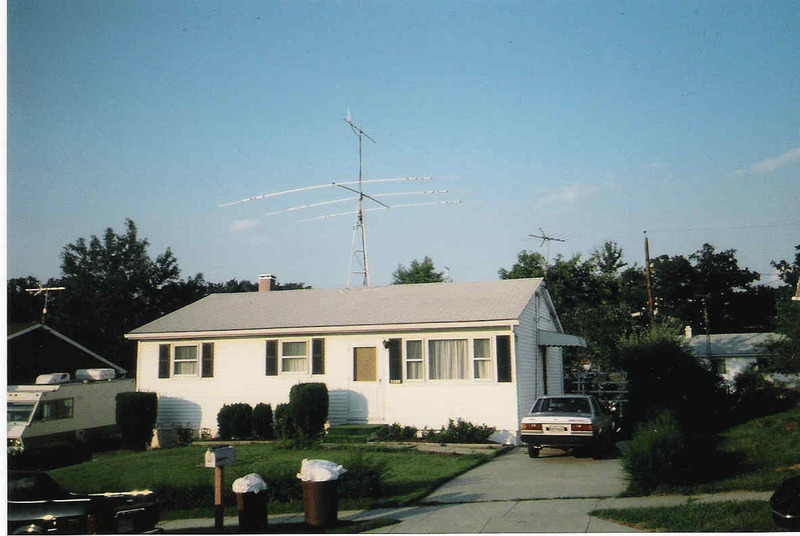 The same friend lived in a duplex that had a flat roof and a strict "no antenna" policy. 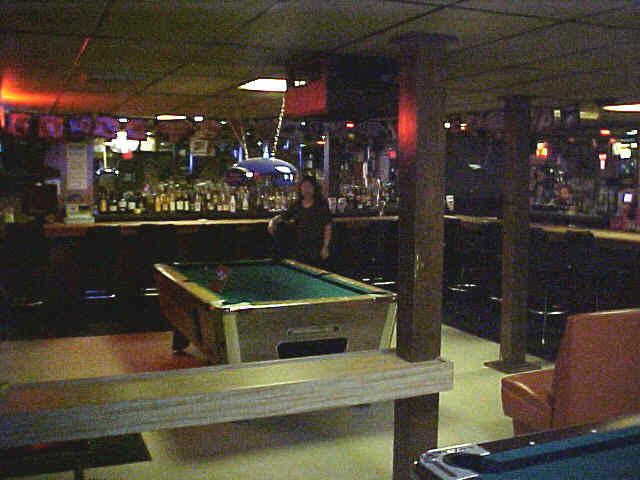 We mounted a TV antenna rotor horizontally at roof level and attached a vertical antenna to it. 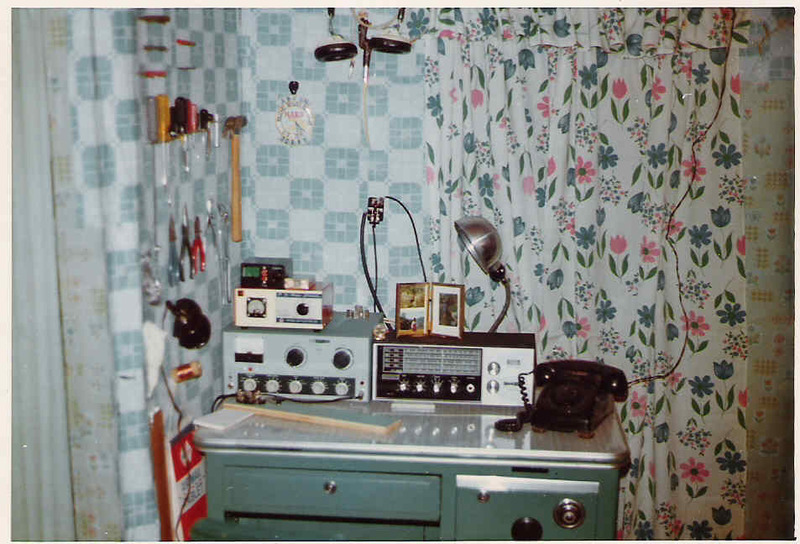 At night he would turn the rotor 90 degrees to raise the antenna then back down when he was done. Nobody ever noticed his antenna either. 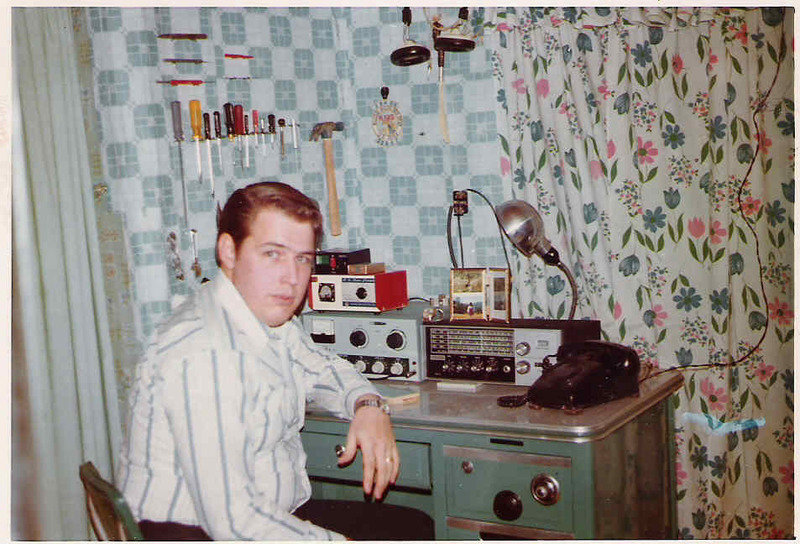 I lived in an apartment in Augusta when I was training at Fort Gordon to be a satellite ground station repairman. The owner allowed me to mount a Mini-Quad antenna on the balcony rail (I was top floor) for 20, 15 and 10 meters. For low band I flew a kite into one of the Georgia Pines with a long wire attached. Worked like a charm. 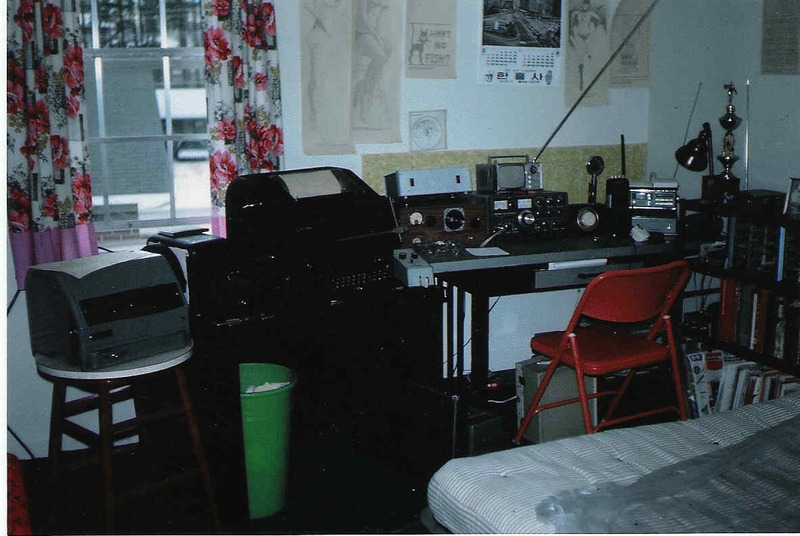 My downstairs neighbors probably appreciated my Teletype machine clunking along, but never said anything about it. 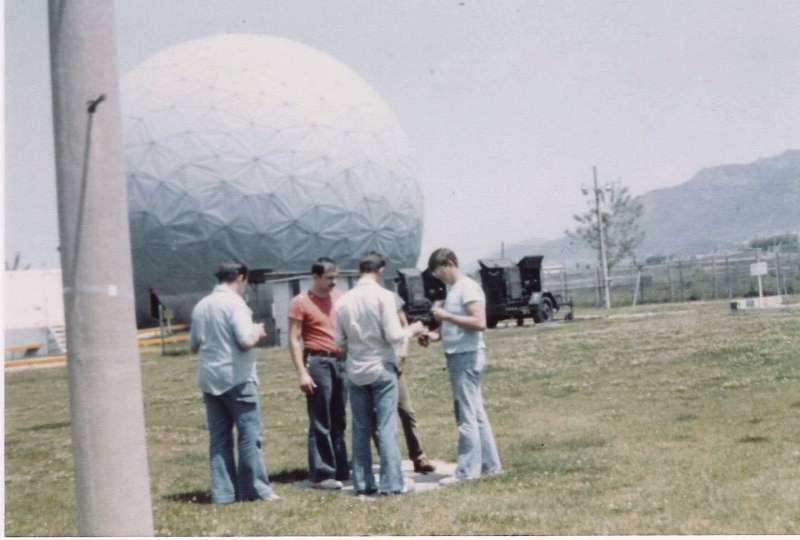 I was stationed at the new Fort Meade satellite station where I was a shift supervisor. For antennas I used the same Mini-Quad antenna I had in Georgia and a 300-foot long wire at Fort Meade. 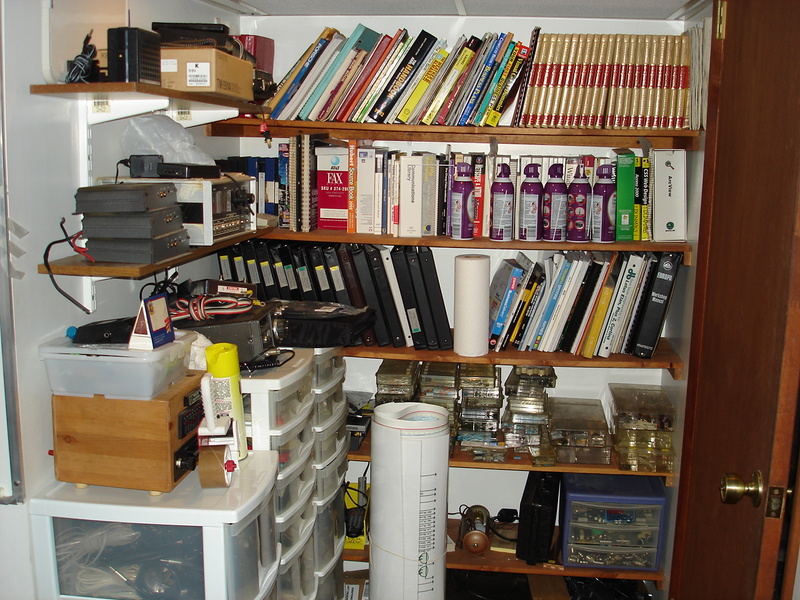 By now I had become infected by the computer bug and, while I kept several 40-meter schedules, I mostly built my computer and developed software. 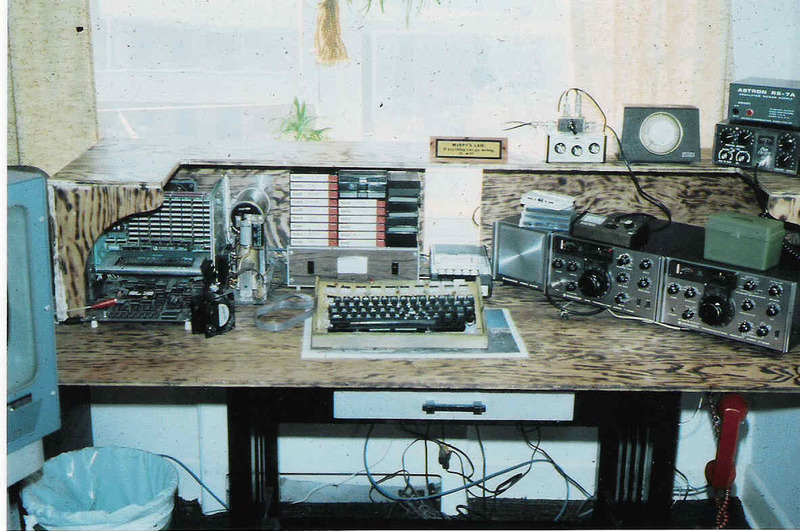 I did write an RTTY program for it and replaced the big Model 19 Teletype and paper tape with a TT-98 and cassette. 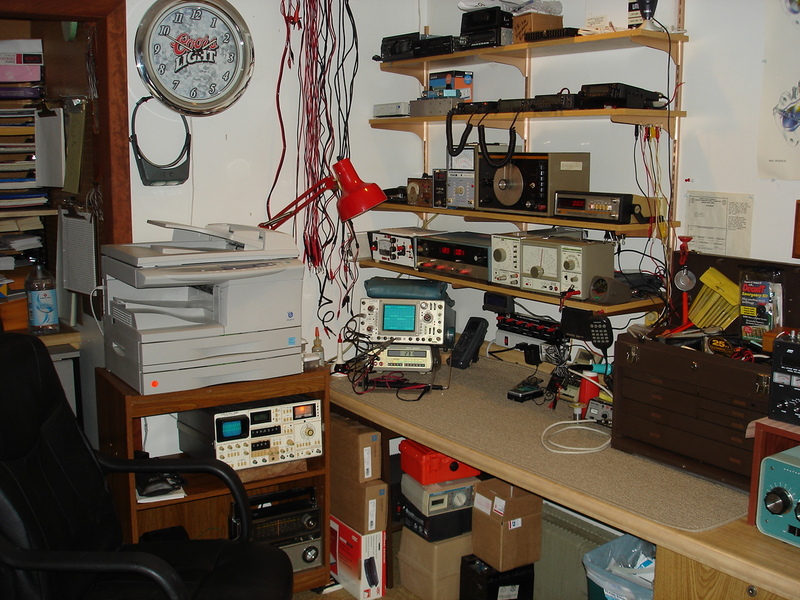 I was working part time for The Comm Center, a Ham Radio and computer dealer in Laurel Maryland and had traded my TS-520 for a T-599/R-599 combo. 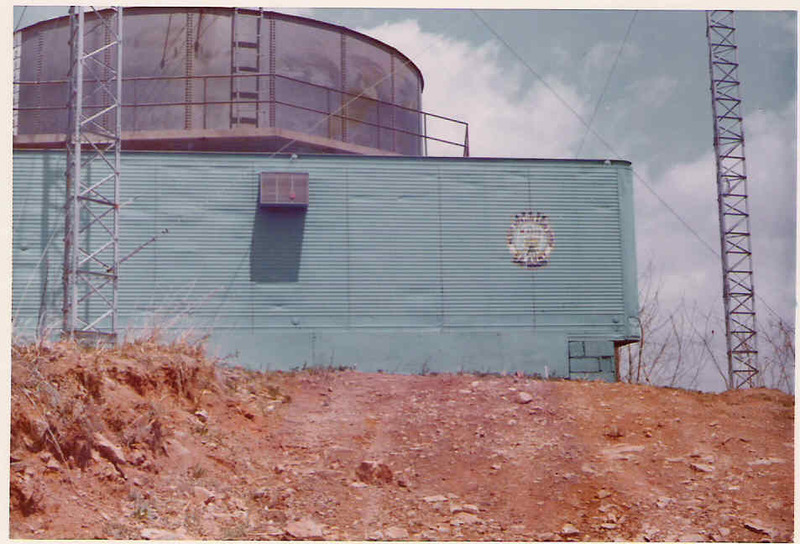 I was stationed at the Seong Seo (near Taegu) satellite earth terminal in 1980 when I discovered that there was an abandoned MARS station at one of the Army Posts in Taegu. Since my Headquarters was located on the post, I approached my Commanding Officer about resurrecting the station. To my surprise, I was reassigned to the station and given the task of getting it on the air. 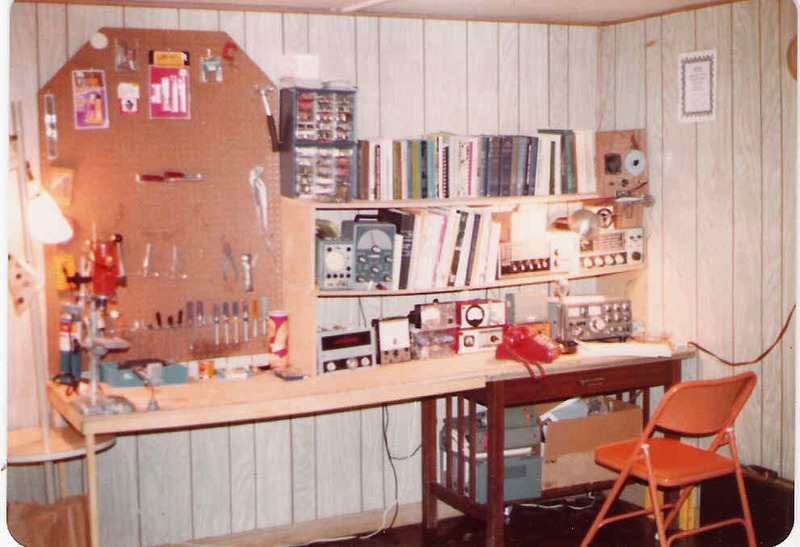 Once I repaired all of the equipment and organized the station I set about building a proper antenna system. 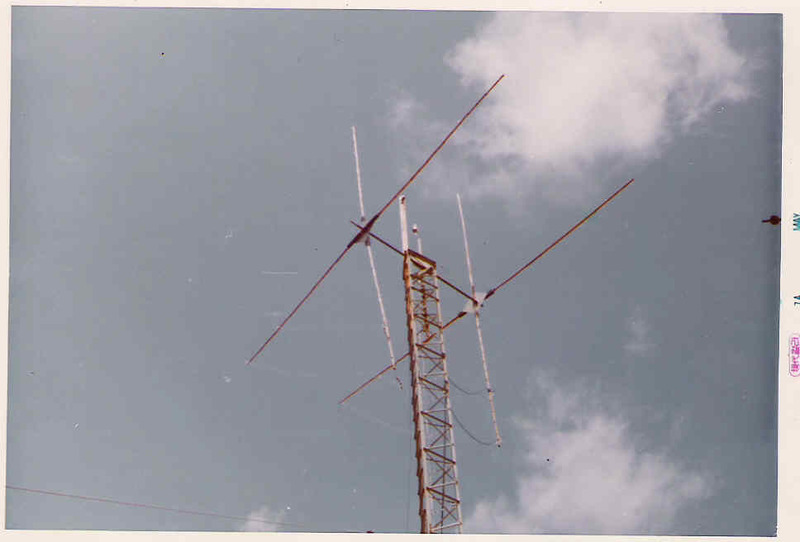 I had the Post Engineers plant two telephone poles aimed at the States so I could construct a massive loop Yagi suspended from a cable between the poles. When I was working on the antenna in the rain one day I fell off the roof. Landed in the parking lot and all I hurt was my pride. 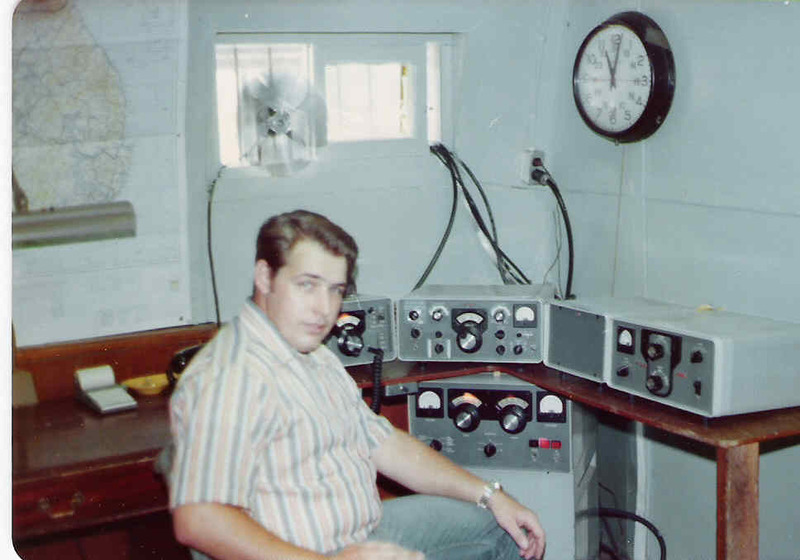 I ran many phone patches and worked the 1980 CQWW contest as HL9UB from the station. It was insane! In Taegu I rented the entire top floor of a house and mounted my Mini-Quad on the roof. 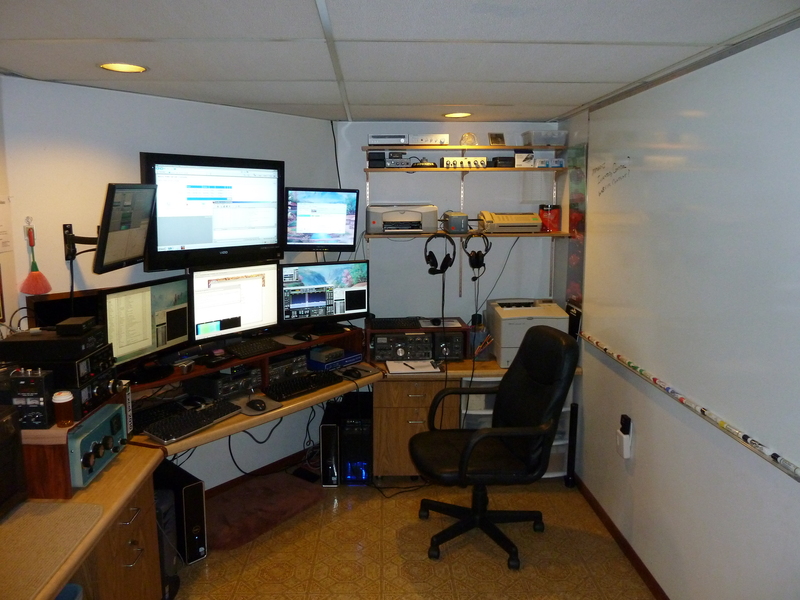 By this time I had traded my T-599/R-599 for a TS-120S and I was on two meters as well. 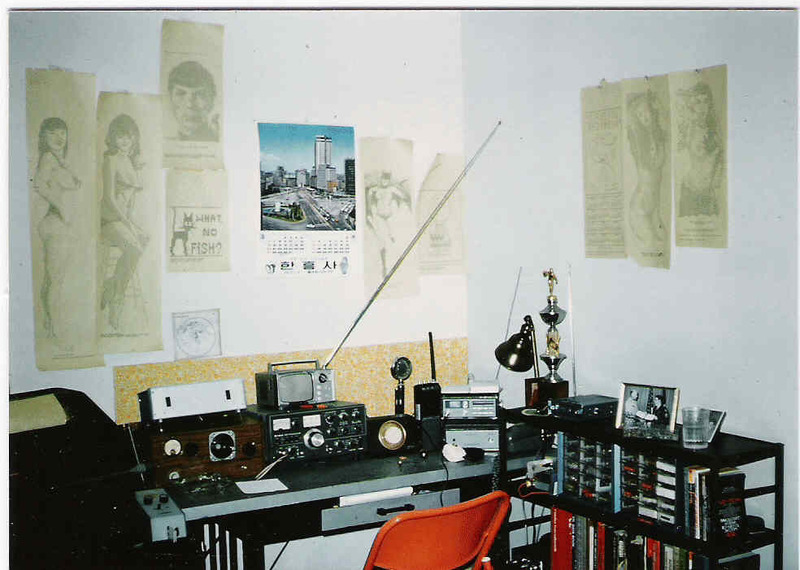 When I left Korea I sold the TS-120S and gave the Mini-Quad to a Korean Ham. 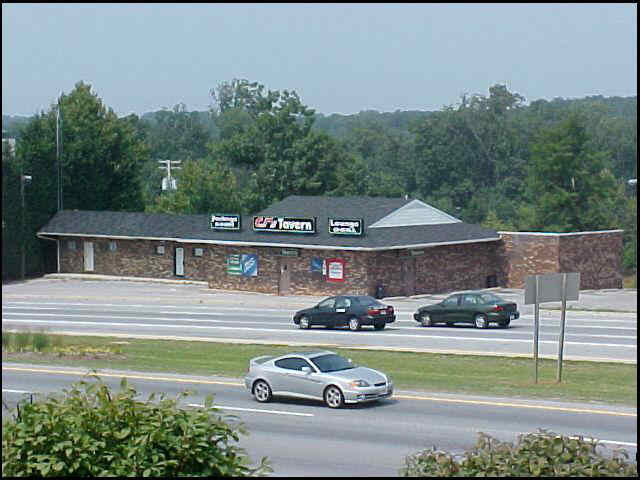 In Arlington I worked for the Defense Communciations Agency (DCA) and also worked part-time for The Comm Center. 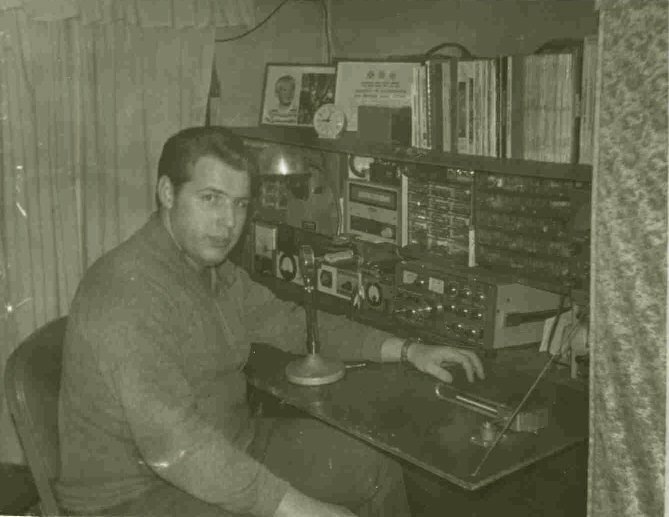 During this time I was active on two meters but not on HF. 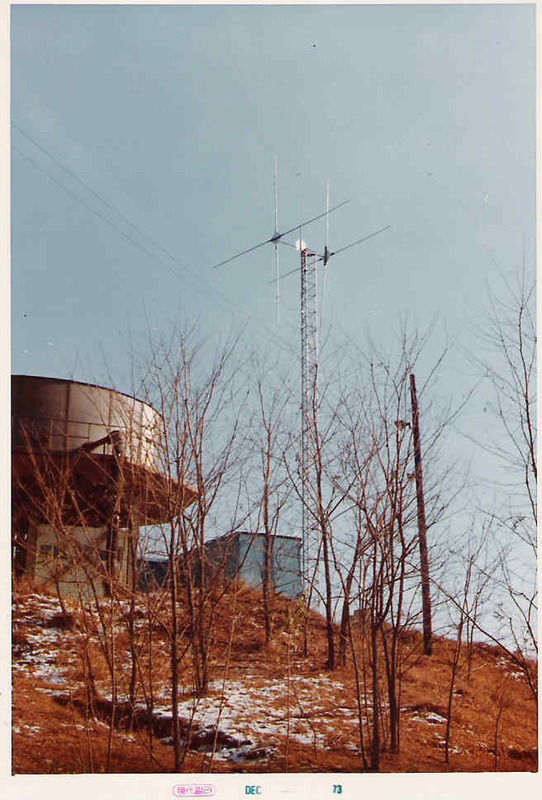 When I left the Army in 1982 I went to work managing The Comm Center, bought a house and installed a three-element beam and VHF antenna. I bought a complete Drake TR-7 line and was very active for several years. 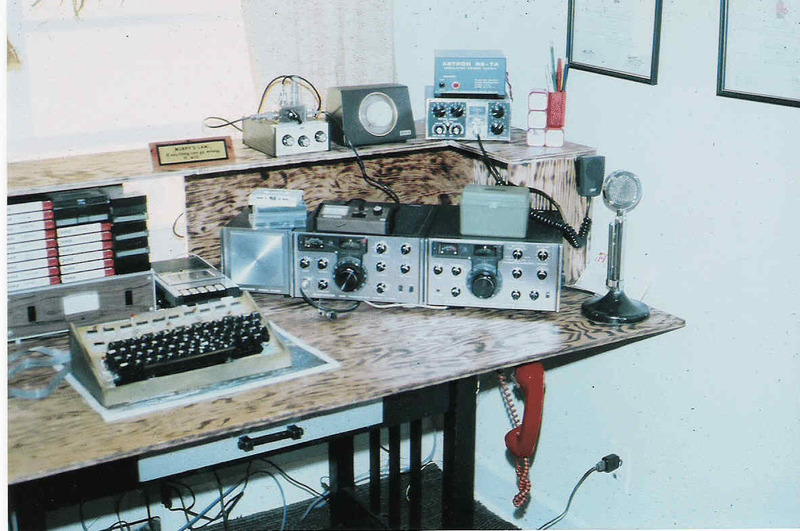 When the The Comm Center closed in 1986, I opened Maryland Radio Center, a ham radio sales and service business. 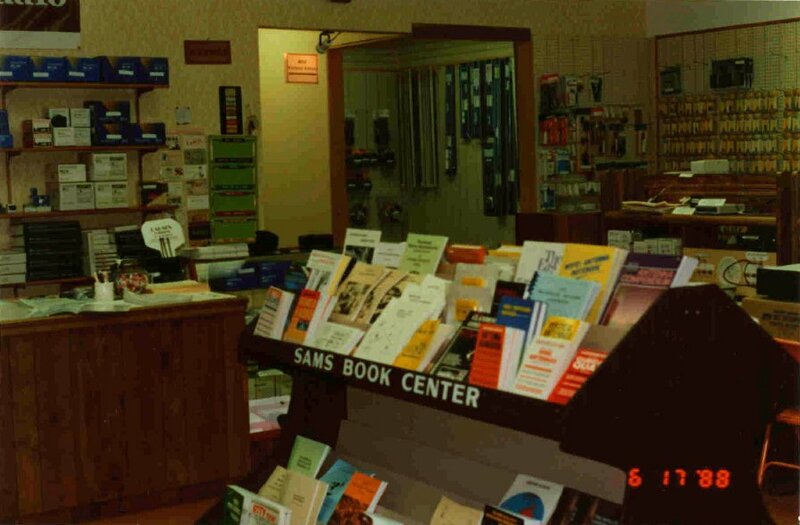 I ran the business until 1997 when I closed it to concentrate on the development and implementation of the National Weather Service EMWIN system. During that time I was mostly inactive as a ham. 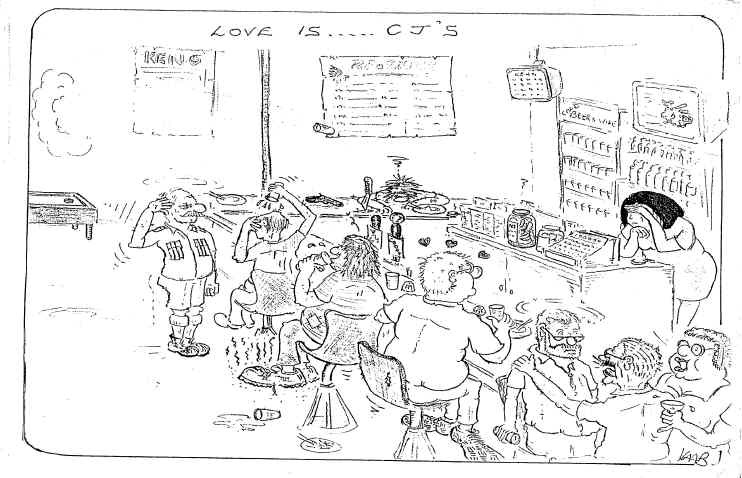 My wife and I also owned and operated C.J. 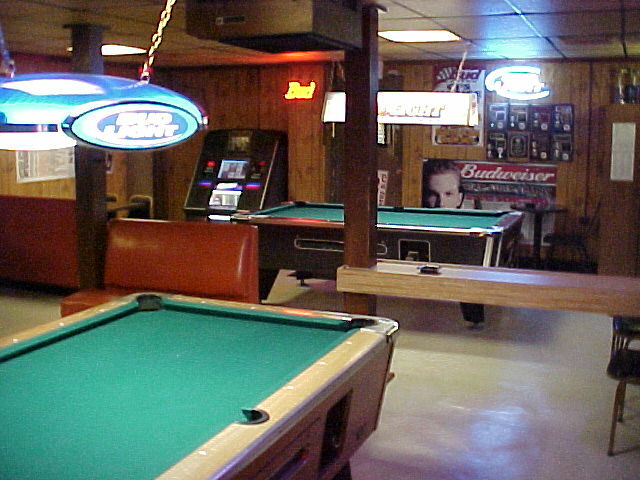 Club 602 (1985-1990) and CJ's Tavern (1995-2005) in Laurel, MD. 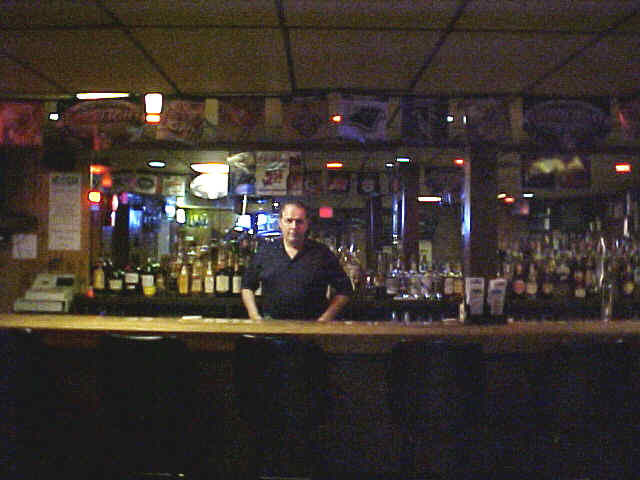 9/20/2010: I retired in 2005 and recently became active again. 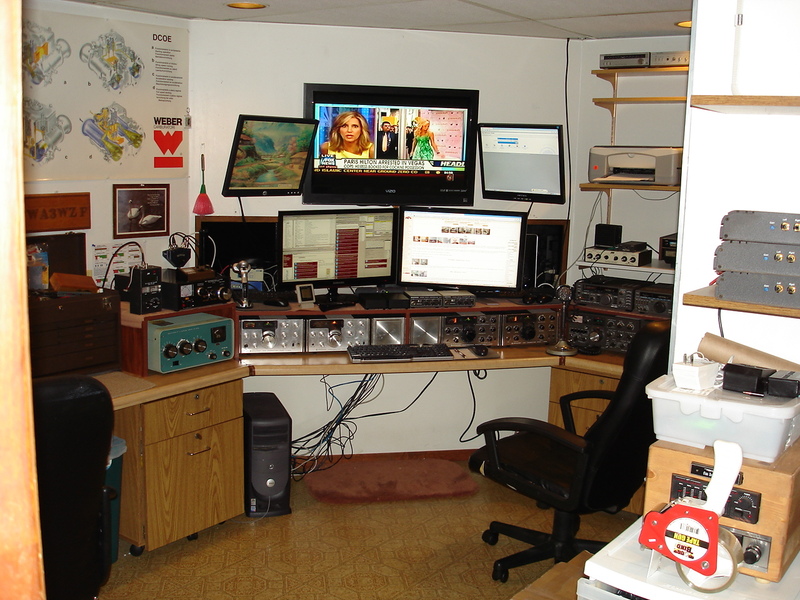 I'm currently in the process of populating my ham station and building new antenna systems. 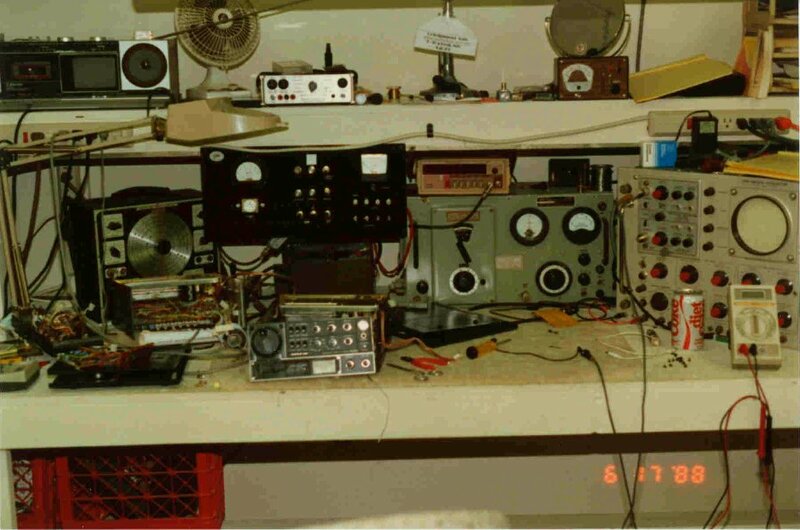 So far I've added a TS-820S/VFO-820, two sets of Kenwood R-599/T-599/S-599 twins, a TS-140S, a TS-430S and a Heathkit SB-200 with all Harbach mods. My wife is KA3RON and my son is W3MDJ. 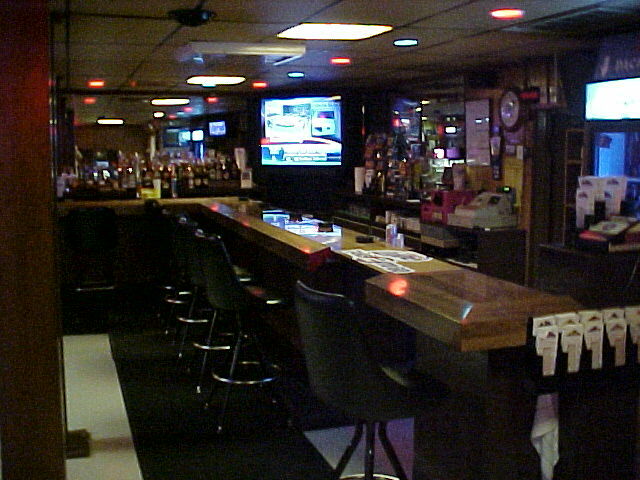 2/20/2011: Just bought and installed a Flex 3000. Nice radio! Both sets of Kenwood twins have been placed in storage. 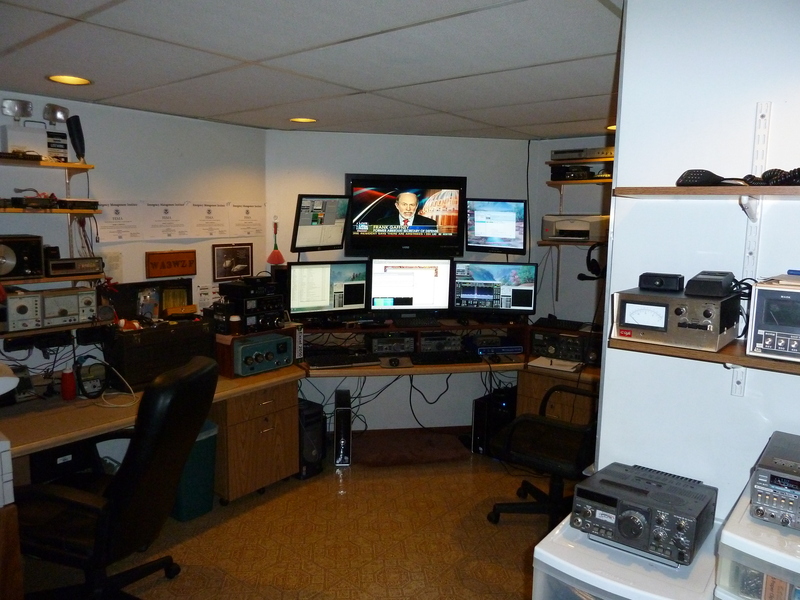 5/5/2011: Changed my callsign from WA3WZF to W3JJJ (My initials).